Home Blog Top MBA Scholarships in Bschools: And How Do You Get It? Top MBA Scholarships in Bschools: And How Do You Get It? Top business schools charge over $ 150,000 for MBA courses that promise the world but keeping top talent to themselves to improve their rating as best business schools in the world is critical and, this is where scholarships, fellowships, and grants come in. The price of an MBA degree has risen sharply by over 75% in the last decade or so (the average tuition fee of the top 25 business schools for the year 2017 was approximately $ 115,000 and this is over 80% higher since 2008). Another aspect that is critical to this discussion is the importance of international students for business schools around the world. According to a Washington Post report, 30% – 40% of the MBA programs comprise of international students. Of these numbers that are widely reported for international students, Indian students form the biggest majority. Since issues such as the absence of credit rating and the ability to take loans is a huge deterrent, business schools are looking to make the process easier. The competence or the caliber of the students and the alumni greatly influences the quality and perception of the programs that are offered. While students who apply for the best courses at the most prestigious business schools look at the ROI (return on investment) to understand their future prospects, what is a definite deal-breaker for most is the cost of such education. This is one of the reasons that the last few years has seen quite a bit of fund-raising in the scholarships that are being offered by the top business schools around the world. According to a survey that was conducted, more than 50% of MBA applicants are more than willing to pick a lesser-known school if they are offered a substantial scholarship. For instance, applicants who were offered higher scholarships at Kellogg and Chicago Booth business schools chose them over Wharton School of Business which has a higher ranked program as compared to the others. Not to be left behind, Harvard and Stanford have upped their game as well as they give away substantial amounts as need-based scholarships (which in most cases need not be repaid) making them far more desirable. For instance, Harvard’s Forward Fellowship program focuses on providing grants to students from all communities of low-socio-economic backgrounds. While Harvard doled out $ 36 million in 2017, the lesser-known Darden School of Business in Virginia created a $ 30 million scholarship program thanks to a generous donor. So, business schools are doing everything they can to provide better financial assistance for their applicants. While on the one hand, they provide better opportunities to the less-fortunate, they are increasingly being used as a tactic to lure the brightest of talents. Where you have the good fortune of being accepted at more than one business school, then ensuring that you get the maximum scholarship available should be on the top of your mind. Since business schools are also quite eager to bag the best applicants this can be accomplished with a little effort. Negotiating your scholarship by declaring that you have another offer of acceptance can help increase your scholarship amount. Here, your negotiating skills matter as much as undertaking the right preparation and presenting your case well enough to get the maximum possible financial aid. 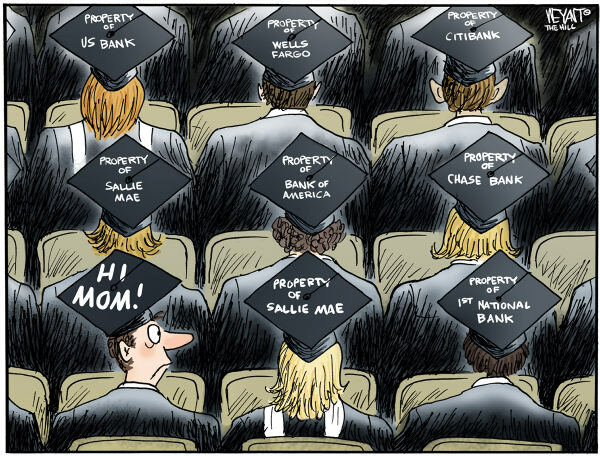 Creativity at its best: Scholarships can be classified as merit-based or need-based. Schools are doing everything possible to creatively rope in every kind of a candidate to make their programs as diverse as possible. So, whether it’s the Reliance-Stanford’s 100% scholarship which requires you to work in India for two years after the completion of your MBA or it’s the London Business School’s scholarship which can be applied in stages to help you through your education in a phased manner, business schools are taking an innovative approach to helping you get the funding you need. While merit-based scholarships would not qualify as creative, all business schools provide fellowships for the outstanding students. Wharton’s Howard E Mitchell fellowships for outstanding students from under-represented countries is one such scholarship. 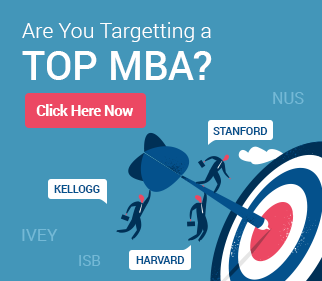 Top B-Schools in MBA Scholarships. With the scholarship wars heating up, here’s the lowdown on the figures that matter and who offers the most! # 1. Harvard Business School: It has proved that they are the ones to beat when it comes to business education. HBS has bettered its previous year’s performance by offering $ 36 million in fellowships for the year 2017. It had an endowment fund of 3.3 billion in 2015. 50 % of its students are able to access the scholarships so provided. # 2. Stanford Business School: While Stanford does come in second to HBS as far as endowments are concerned, the gap between them is almost $ 2 billion. So, the endowment fund stands at 1.3 billion. Thanks to their innovative and structured programs offering scholarships to those coming from India and Africa, they have a huge number of applicants from these regions. # 3. Wharton Business School: With about $ 1.289 billion in its endowment fund, this school ranks behind Stanford. However, the strength of its programs and the alumni seem to be able to pull the best applicants to the school. # 5. 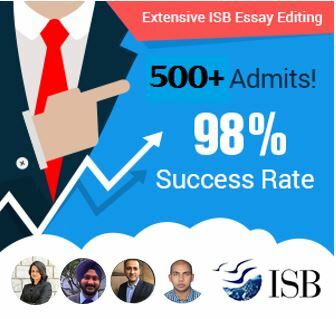 London Business School: London Business boasts of a 65.2 million endowment fund and they offer several merit-based scholarships which can be availed by all the applicants. # 6. HEC Business School, Paris: An endowment fund of about $1.38 million keeps it at the bottom of the pile as far as scholarships are concerned but considering that it is well-known as a “leadership school” it is gaining in reputation. In fact, this school churns out the most CEO’s only after Harvard and Stanford. # 7. Kellogg’s: With over 800 million in their endowment fund, Kellogg’s gives us out generous scholarships every year to their applicants. All international students are eligible for their merit-based scholarships such as the James P Gorter Scholarships, Donald P Jacobs International Scholarships, Forte Foundation and Diversity scholarships. # 8. MIT Sloan School of Management: With 812 million in their kitty, MIT Sloan School of Management provides several competitive, merit-based scholarships. These are awarded after the application process has been completed and you are not required to apply separately for the same. For instance, McKinsey and Company awards $ 10,000 for up to four students for outstanding performance and leadership skills. # 9. Yale School of Business: With 73% of the students receiving aid, this school ranks high in the number of scholarships given away. Boasting an endowment fund of about $ 740 million, as of now, one of out every three applicants receives a scholarship and 18 students (out of 348 students) have a full-tuition scholarship. Pick from a long list of scholarships and fellowships. # 10. European School of Management and Technology, Berlin: Supported by over 25 corporate founders and backed by $ 154 million in endowment funds, they offer several partial-tuition scholarships and a few full-tuition scholarships for their students. These scholarships are awarded based on academic and personal excellence. # 11. University of Toronto- Rotman School: Over the past two years, the Rotman School of Management has given over $ 1million to more than 30 students part of their MBA program just under the Forte Fellows Program. Their $ 107 million in endowment fund promotes several students with scholarships and fellowships including the LGBT community through their LGBT Fellows Program. # 12. IESE Business School, Navarra, Spain: They are ranked number 8 in the global MBA rankings of 2017 as per Financial Times and their endowment fund of $56 million ensures that they provide as much financial aid as possible. While the IESE trust fund provides 20-30 scholarships to those with outstanding academic records, there are several other scholarships such as the IESE Alumni Association scholarships which cover 50% of the tuitions fees. # 14. National University of Singapore: The National University of Singapore business school (ranked 18 in global MBA ranking of 2018) attracts quite the number of students from all over the world. They have an endowment fund of $ 3.5 million which they distribute in several fellowships and scholarships. The NUS MBA Study awards offers more than $1 million under this scholarship and this is just one of the several scholarships being awarded annually. # 15. HKUST Business School: The university which celebrated its 25th anniversary in 2017 managed to increase its endowment funds from $2.5 million to 3.25 million. 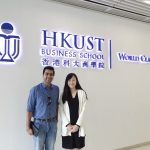 Students with a global experience, belong to underrepresented or minority communities and community service experience are eligible for the HKUST MBA Merit Scholarship and all applicants are automatically considered for this scholarship. How to be an Investment Banker? Does An MBA Help? MBA Reapplication Strategy: What Bschools Look for in Reapplicants?